Weight Loss: Does Eating Breakfast Help You Lose Weight? 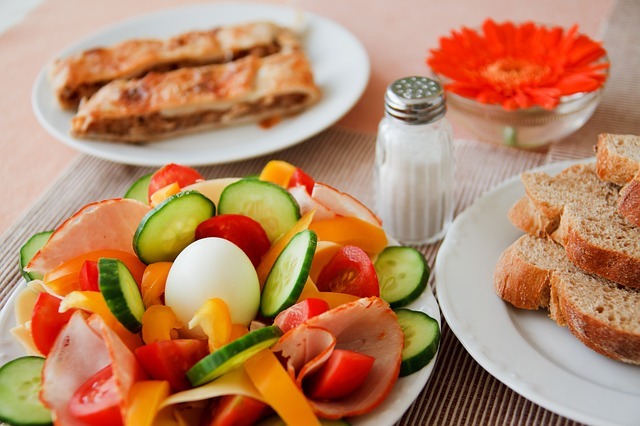 Ideally, breakfast must be rich in produce, healthy fats and lean protein. We have always been taught that breakfast is the most essential meal of the day. That skipping breakfast can result to various issues and one of them is weight gain due to binge eating during lunch. However, researchers found that breakfast has actually little to no effect when it comes to weight loss or gain. Based on a study conducted by the University of Alabama, the idea of eating breakfast to aid in weight loss is actually influenced by biased research reporting (BRR) and research lacking probative value (RLPV). The scientific evidence was not enough to prove that breakfast is indeed helpful in weight management among obese patients. The study was spearheaded by Dr. David Allison, Nutrition Obesity Research Center director of the University of Alabama. The subjects, composed of 309 adults, were split into three groups. One was directed to eat breakfast, the other group was prohibited from eating breakfast, and the third was neither instructed nor prohibited, but was encouraged to practice healthy eating habits and were provided pamphlets on good nutrition. The result showed that all three groups lost indistinguishable amount of weight on an average. However, there were limitations to the study, such as the amount and kind of food eaten during breakfast. The subjects’ initial body fat ratio, metabolic rate and appetite levels were also not determined. In addition, the study was too short lived to measure more accurate effects. Still, Dr. David Allison pointed out that we should not easily believe any information fed to us. It is still important to look for a scientific basis before believing or adapting nutritional and health practices. Is Eating Breakfast Still Encouraged? Despite the results of the study, health and nutrition experts still advise not to skip breakfast if possible. First, breakfast is our first meal of the day after a long period of fasting (while asleep). It is usually the first meal before we perform most of our activities. If we skip breakfast, we might not have enough energy to fuel us through the day. As a result, skipping breakfast can cause a person to feel sluggish and sometimes lack concentration on the tasks at hand. On the other hand, if one wishes to skip breakfast, it should not be a cause of worry, particularly for those who want to lose weight. Missing breakfast will not cause you to binge eat during lunch and dinner. According to nutrition expert Keith Kantor, eating breakfast can actually be a good idea because it is routine-forming. Moreover, it makes people adhere more to other regular tasks such as meal planning and exercising. If a person skips breakfast, chances are, negative behaviors such as unhealthy food choices and missing exercise set in. Kantor, which also authored the book, The Green Box League of Nutritious Justice, also added that a healthy breakfast must ideally consist of healthy fats, high quality proteins and lots of produce.